The highly anticipated Red Bull Car Park Drift 2017 - Qatar Qualifiers is scheduled to go down in Qatar's Corniche Dallah Parking right in the middle of the sky lit sky crappers this 9-10 November 2017 with the last event attracting a record number 6000 spectators to witness history reborn. The Event is Free and Opened to public will be held under supervision of Lebanese drifting legend, Abdo Feghali. This year's King Of Drift-Qatar will represent Qatar at the 2017 Red Bull Car Park Drift Grand Finale in Kuwait on 8th December 2017. Back in 2015 a record number 6000 spectators witnessed 10 drifters tore each other skills that saw MK Racing Mohamad Al Khaiat crowned King Of Drift - Qatar in Losail Int'l Circuit. In 2017, Qatar's home boy Khaiat is one of the skilled drivers to watch for at the tournament. Now steering the HGK skillfully modified to the formula one drift specification sitting at slightly above 800HP,the MK Racing BMW M2 F22 Eurofighter will be a hard nut to crack for many drift drivers this weekend at the highly anticipated edition in Doha basing our ideas from what we have witnessed at a private practice in Qatar Racing Club by Mohamad Al Khaiat. 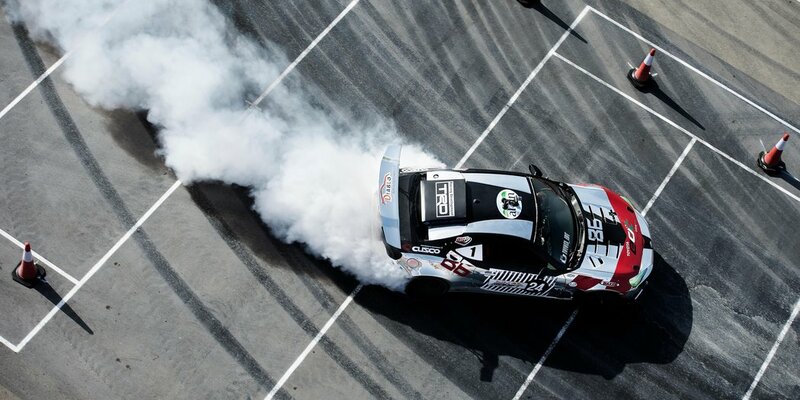 In 2016 Haitham Al Hadidi was crowned King Of Drift in his home-turf Oman in a merciless beastly Nissan Silvia though this time 2017 Rafaat Al Yahyai has been crowned King Of Drift Oman amidst 5000 cheering fans and qualified for the Kuwait Grand Finale. In 2014 and 2015 saw crowning of Ahmad Daham from Jordan also in a Nissan Silvia as King Of Drift. Daham is the only gulf driver to have lifted the crown in the Gulf!